This stunning Hawaiian island is an adventurer's dream, as there's no limit to what you can see, do, or explore on the Big Island. From its crashing ocean waves to its famed volcano, the Big Island is a place unlike any other, which is why it attracts numerous visitors to its shores every year. The balmy, tropical weather and the endless natural beauty of the Big Island create the perfect vacation destination for those looking for to explore the best that Hawaii has to offer. Whether you're traveling alone or with your significant other, you should let Vacatia help you plan your trip to the Big Island. Vacatia can provide you with an impressive selection of studio rentals in the Big Island so that you can find the best possible home base for your Hawaiian adventure. Vacatia strives to provide travelers with comfortable vacation rentals that will make you feel as if you're actually living in paradise rather than just visiting. 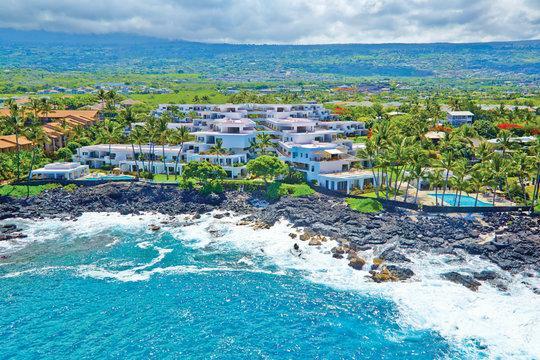 You could greatly enhance the quality of your trip to the Big Island by letting Vacatia help you book your accommodations on this popular Hawaiian island. The Big Island is by far the largest island in the Hawaiian archipelago, which means that it provides endless opportunities for exploration. This large, diverse island is home to gorgeous beaches, beautiful lush jungles, and even an active volcano. Whether you're looking for rest and relaxation or excitement and adventure during your Hawaiian getaway, there's certainly something for you on the Big Island. When you begin planning your trip to Hawaii, let Vacatia help take the stress out of your planning process. Vacatia makes it easy to find Hawaii's best vacation rentals available so that you can enjoy all that the Big Island has to offer. Unlike a hotel, Vacatia's vacation rentals provide some of the best comforts of a home, such as a kitchen, in addition to the desirable services of a resort. 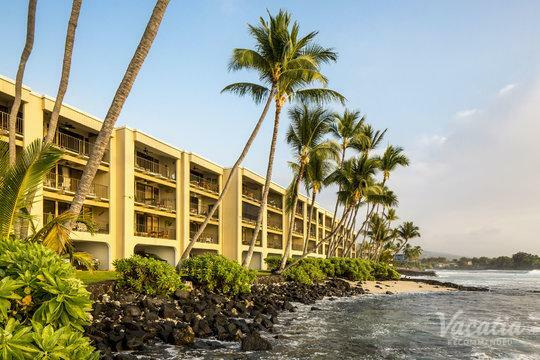 So if you are looking for studio condo rentals in the Big Island, look no further than Vacatia, which can provide you with the perfect vacation rental for your trip to Hawaii. The Big Island of Hawaii, sometimes referred to as simply the "Big I," is the largest landmass in the Hawaiian archipelago. Because of its size, the Big Island is home to diverse terrain as well as numerous climates. During your stay on the Big Island, you can hike to jaw-dropping water falls, lounge on the unique Kehena Black Sand Beach, and even explore the grounds near one of the world's most active volcanoes. There's so much to do and see on the Big Island that you'll never be bored, which is why it's one of Hawaii's most popular destinations for adventure-seekers. When you travel to a tropical paradise like the Big Island, you'll definitely want a comfortable home base to return to after a long day of exploring, which is why you should let Vacatia help find your dream vacation rental in Hawaii.